Still on the fence about these. 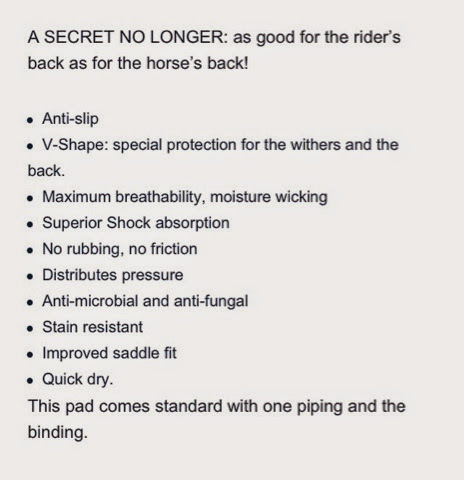 I also have a slippy saddle (slips back) and I don't love hearing they don't fix that problem! I would borrow someone's. you have a different issue so it may fix that. Have you tried the rubber non slip pad? It's small and blue and works amazing! sorry it didn't work out for you. i got one used from ebay and loved it too - but it didn't do the trick for my mare either... at least they hold their resale value!! Oh I LOVE it! I have more than one horse to use if on. I will just have to use the non slip gel pad with Poppy. No way am I selling it! It helps with slipping back but nothing is going to make a saddle more stable from side to side except a breastplate and an anatomic girth. Have you tried either (or both) of those? I have used a non slip pad for the last 3 years and it solved the problem. It's inevitable that I need to look at new saddles for her. I want one BUT can't justify it lol... Esp since I just ordered a customer Antares ha! I assumed the anti slip meant that the pad itself wouldn't move. It could be. I needed a new pad anyway and helping the slipping would have been awesome. 3 weeks? Damn, makes me want another one. So I don't know if this is going to be helpful at all or not, but I bought an Ogilvy for similar reasons. 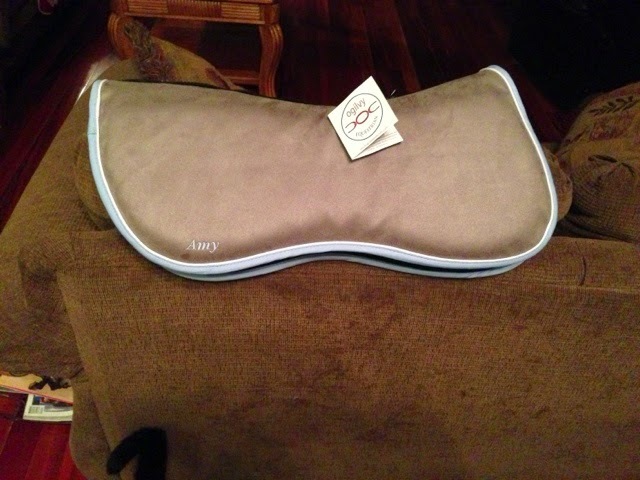 On Miles, my saddle slipped back and at first the Ogilvy didn't help at all but once I exchanged my 1 1/4" for a 1" and broke it in [about a week or so], it now works PERFECTLY. I also had side to side slipping problems on my trainer's horse Vinnie. I started using a Professional's Choice girth that has the rubber on the inside and once my 1" Ogilvy was broken in, that fixed the slipping as well. Awesome!!! I will, thank you!! love the color combo that you picked!